There’s an East-West divide in vegetable crop pests, our 2019 State of the Industry survey reveals. The No. 1 pest for all three Western regions is aphids. 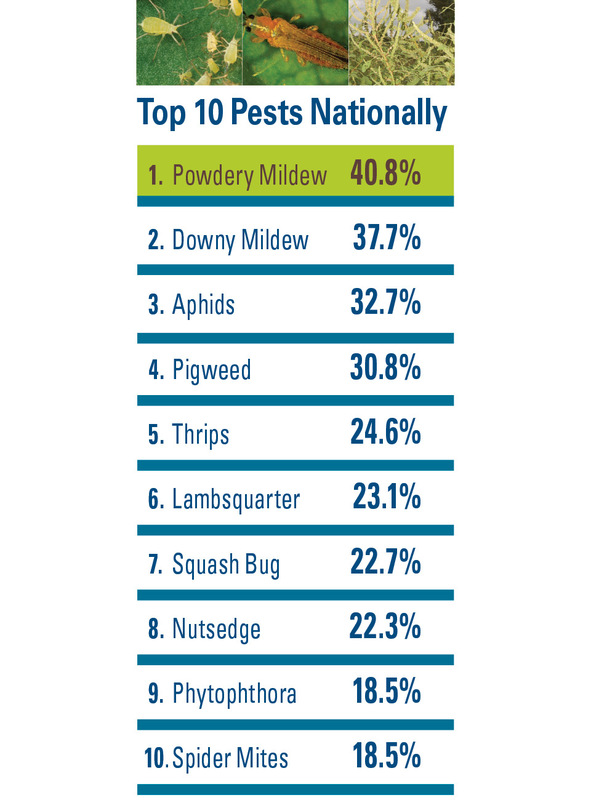 The top two pests in the East are powdery mildew and downy mildew. How pervasive were pest problems? 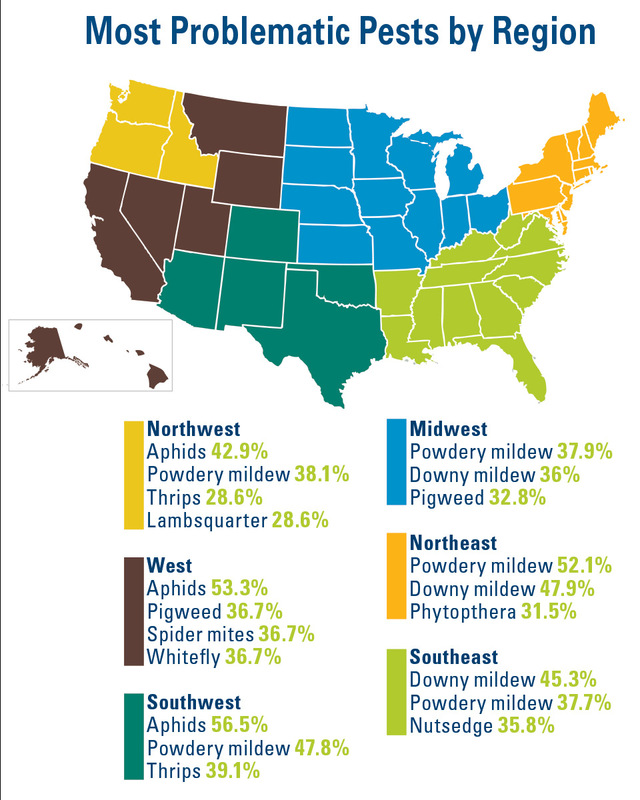 More than half the growers in three regions reported a single pest as a particular problem: powdery mildew was a problem in the Northeast (52.1%), while the West and the Southwest struggled with aphids (53.3% and 56.7% respectively). Perhaps more telling, more than 30% of growers in these same areas reported significant problems with several pests. Seven pests impacted more than 30% of growers in the West, six in the Southeast, and five in the Southwest.